For a century, scientists, naturalists, and hope-filled birders have searched swampy forests of the southern United States for a glimpse of the Ivory-billed Woodpecker. In March 2004, when we began our search, we could have been just another team of determined explorers, except for one major difference: Our initiative was the first in more than 60 years to be launched by a confirmed sighting. Documentation of the elusive bird was the achievement of an unprecedented 14-month effort by the Big Woods Conservation Partnership — a cooperative alliance that includes universities, conservation organizations, and state and federal agencies. A crowning moment in conservation history, rediscovery of the woodpecker offers hope for the recovery of a species long thought extinct and inspiration for how partnerships can achieve conservation excellence on a globally important scale. The road ahead is filled with less glamorous though equally important goals and objectives. Let’s look at what’s next. We will return to the bayous this fall. The U.S. Fish and Wildlife Service has formed an Ivory-billed Woodpecker Recovery Team that will work with members of the partnership in various capacities. Their Herculean task is to assess the current status of the population, review land-management practices within potential Ivory-bill habitat, and propose a recovery plan to establish and maintain a stable population. To accomplish this, we will first have to answer some of the most basic questions about the species. The first question is obvious: How many Ivory-bills are there? Unfortunately, we cannot answer with much satisfaction beyond saying that there is at least one, most probably male, Ivory-billed Woodpecker in the Big Woods of Arkansas. However, we estimate the maximum average lifespan of Crimson-crested, Magellanic, and other woodpeckers in the genus Campephilus to be 15 years. 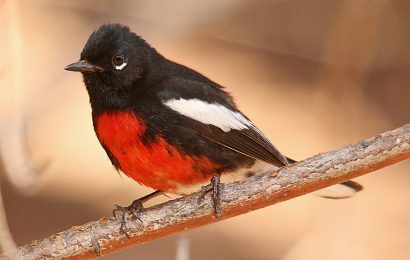 If we apply this to the Ivory-bill, also a Campephilus woodpecker, we conservatively estimate a breeding pair in the region as late as 1990, 46 years after the last accepted U.S. sighting. To focus our search, we tapped the knowledge of state, federal, and Nature Conservancy biologists and foresters about local forest conditions. We searched areas they identified as the largest remaining tracts of mature cypress-tupelo and hardwood forests. Our search, though intense, covered only about eight percent of the 550,000 forested acres in the Delta region. Given that the incredibly high stem density in this habitat made seeing even common Pileated Woodpeckers difficult, we have plenty of hope that a breeding pair of Ivory-bills simply has yet to be found. The next question is obvious as well: Where does the bird live? We cannot answer this question with much satisfaction, either. After spending more than 20,000 party-hours over a 14-month period searching for the woodpecker and its roosting and nesting cavities, we have only seven robust sightings, 15 possible encounters, and a four-second video shot by David Luneau. All of these pieces of evidence were gleaned from a four-mile stretch on the Cache River National Wildlife Refuge. The information gained so far is an excellent start, but it doesn’t tell us much about the Ivory-bill’s use of the local ecosystem or its behavior. Simply put, we need more data. How we set out to accomplish this task is still under discussion. We did, however, develop a search strategy during 2004-05 that we will use again in future searches. In hopes of capturing another encounter as miraculous as David Luneau’s, field crew members will again have continuously recording video cameras mounted in their canoes as they traverse the bayous. We will walk or paddle parallel transects 50 meters apart through the bayous and upland forests as we scour the giant cypress, tupelo, oak, and other hardwood trees for potential roost or nest cavities. Once we locate a reasonable-looking cavity, we will hide behind natural cover and watch the cavity for the final two hours of the evening in hopes of catching the woodpecker entering or emerging from its hole. The best of our identified cavities will be watched monthly. So what makes a potentially good cavity? The Pileated Woodpecker excavates cavities that are nearly circular and three to three and a half inches in diameter. The Ivory-bill excavates cavities with irregular shapes that tend to be four to five inches tall and four to four and a half inches across. It definitely takes weeks for team members to develop the proper search image to distinguish between cavities of these sizes, especially when they are up to 100 feet above the water! From historical accounts, we know that the Ivory-bill fed on grubs in recently dead trees that still had hard and tightly attached bark. (They also ate fruits and mast from trees and vines.) 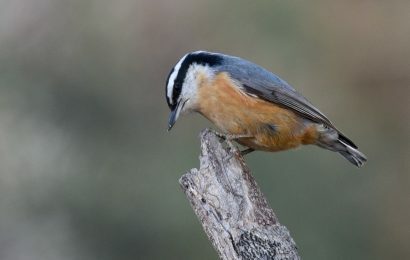 The bird’s feeding has been described as flaking large chunks of bark from trees with little damage to the underlying cambium and largely devoid of excavations. When we encounter trees with such signs, we will again set up cameras with motion-activated shutters in hopes of catching images of the woodpecker feeding. We will also continue to deploy autonomous recording units (ARUs). Developed at the Cornell Laboratory of Ornithology, the units consist of a computer hard drive attached to a microphone array housed in a waterproof container, all attached to a power supply. We program the ARUs to record in the morning and evening and deploy them for up to two months at a time. The technology greatly enhances our presence in the bayou while minimizing potential disturbance. For example, during the 2004-05 search, we generated more than 16,000 hours of recordings. We are still analyzing these, first by running the recordings through a software program that flags potential Ivory-bill kent calls and double-raps, then by listening to and viewing sonograms of the flagged recordings. Another obvious question concerns whether the right forest conditions currently exist for the continued survival of the species. Assessing current and potential forest conditions across the previous range of the Ivory-bill will likely be one of the first tasks the recovery team addresses. Since 1944, the year of the last confirmed U.S. sighting, hundreds of thousands of acres have been protected and reforested through the establishment of refuges and conservation easements across the southern U.S. Little original old-growth forests remain in the bird’s former range, but the forests are in better condition today than they have been in many decades. Thanks to forward-thinking conservationists and federal conservation programs, many thousands of acres of second-growth forests are poised to move into mature, even old-growth condition in coming years. Given the success of past conservation efforts and the presence of large forested tracts of land, we believe the potential exists for the woodpecker to persist in several states, including Florida, Louisiana, and South Carolina. 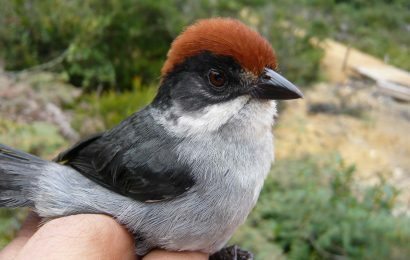 The bird’s rediscovery validates decades of conservation work. However, to be successful in our effort to recover the species and ecosystem, we will need to remain vigilant about protecting and managing forests to ensure adequate forest size and age for hundreds of years to come. Current and future conservation efforts are vital for the survival of the species. Some day, our children or grandchildren may have a much better chance of seeing this majestic species than we do today. We have begun a series of public meetings in the Delta communities surrounding the refuges to discuss how the Ivory-billed Woodpecker might affect the lives of local citizens. In addition, we have contacted local museums and visitor centers to share historic multimedia footage of Ivory-bills; established a website dedicated to Ivory-bill history, research, and news; and fielded requests from national and international media to tell this story and stress the importance of land conservation. Many of you birders will ask this question: Can I go to the Cache River refuge to look for the Ivory-bill? The answer, of course, depends on your expectations. Most of the land in question is in the national wildlife refuge system and currently does not have the visitor infrastructure so familiar at state and national parks. In addition, travel in the refuge is extremely difficult; a boat is mandatory unless you are willing to slog through thigh-deep mud and cross chest-deep sloughs of water. Finally, to put your chances in perspective, we logged more than 20,000 hours of searching for less than one minute of total Ivory-bill observation time. With that said, we are working to implement access to the refuges with birders in mind. This will include parking areas with interpretive signs, boardwalks stretching into the bayous, and canopy towers to allow quiet observation from elevated perches. The swamps and forests of the southern U.S. are majestic and magical places. We encourage birders and naturalists to explore the forests’ splendorous diversity to help find other populations of Ivory-billed Woodpecker throughout the south. The entire effort — from finding the woodpecker to securing funding for land conservation, to guiding research strategy — has been done in the spirit of cooperation among the conservation interests in the Delta, all of whom are working for the good of the species and the ecosystem. This model of cooperative partnership should be as inspiring for the future of conservation as is the knowledge that the Ivory-billed Woodpecker still graces some of its former haunts. Our work — developing our knowledge of the basic habitat requirements of the species, accelerating forest conditions to meet those needs through active management, and protecting the area via managed access, as well as developing habitat protection and management guidelines that focus on 50-, 100-, and 200-year time horizons — is really just beginning. 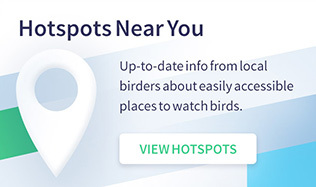 You can help by exploring the remaining bottomland hardwood forests of the southeastern U.S., enjoying the beauty and diversity of these incredible ecosystems, and looking for Ivory-billed Woodpeckers — preferably with a camera in hand. Elliott Swarthout has been the supervisor of the Ivory-bill search team at the Cache River National Wildlife Refuge since 2004. From 2000 to 2004, he led a Cornell Lab of Ornithology study of bacterial infection in House Finches in the eastern United States, and previously developed recommendations to minimize disturbance to Mexican Spotted Owls from recreational activity. 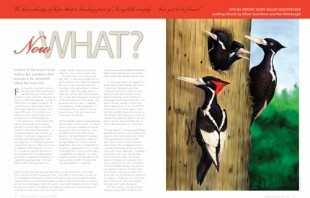 Ron Rohrbaugh is leader of Cornell’s Ivory-billed Woodpecker Recovery Project. He was instrumental in developing and implementing the team’s search strategy and continues to oversee conservation and recovery efforts. 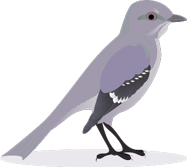 Jerome A. Jackson assesses David Kulivan’s 1999 report of Ivory-billed Woodpeckers in the Pearl River Swamp, Louisiana. June 2002. Eyewitness accounts of sightings of Ivory-billed Woodpeckers from the Cache River, Arkansas. By Chris Niskanen, August 2005. In the wake of the Ivory-billed Woodpecker rediscovery, a plea for conservation of the world’s other declining species. By George Fenwick, August 2005. Description, range, habits, and credible sightings of the Imperial Woodpecker. By Matt Mendenhall, December 2005. Jerome A. Jackson argues that mistakes were made, putting support for future conservation at risk. By Chuck Hagner, February 2006. Geoffrey Hill describes his search for the Ivory-billed Woodpecker along the Choctawhatchee River in Florida. February 2007. Teams of researchers calculate the odds of finding a living Ivory-bill today. By Matt Mendenhall, February 2012. Ten years after Ivory-bill fever swept the nation, Jerome A. Jackson assesses the hope, hype, and disappointment. February 2015. Historic ranges and reported sightings of Ivory-billed Woodpeckers since 1944. 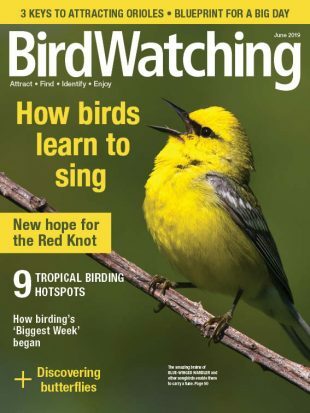 By BirdWatching Magazine, August 2005, February 2015.